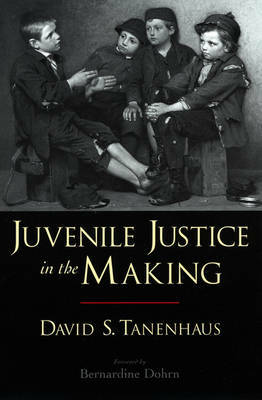 In his engaging narrative history of the rise and workings of America's first juvenile court, David S. Tanenhaus explores the fundamental and enduring question of how the law should treat the young. Sifting through almost 3,000 previously unexamined Chicago case files from the early twentieth century, Tanenhaus reveals how children's advocates slowly built up a separate system for juveniles, all the while fighting political and legal battles to legitimate this controversial institution. Harkening back to a more hopeful and nuanced age, Juvenile Justice in the Making provides a valuable historical framework for thinking about youth policy.